I love making cakes for kids. When Alex and her daughter, Lorna, came to pick up their cake, Lorna came in, took one look at the cake then said "oh I love it!" 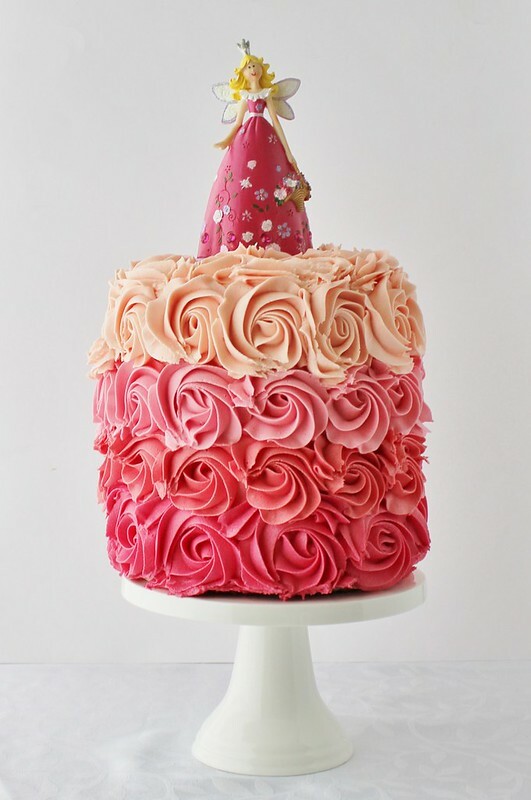 This cake is probably one of my favourite designs I've seen all around the Internet that I still like no matter what. It just doesn't get old. The cakes are four 6" vanilla cakes (which is 2 x this recipe) and about 600 grams of butter in the buttercream! This was my first ever attempt at a double barrel cake (a really tall cake) so I took all precautions and used cake dowels in the bottom two cakes and popped a cake board in the middle of the cake. Originally I actually made a weird pinky mauve colour for the darkest layer and it just didn't look like the type of colour for a kids cake. I decided to make the worlds smallest batch of buttercream, using up the very last butter in the house, and re-coloured it to be a nice dark pink that matched the fairies dress. 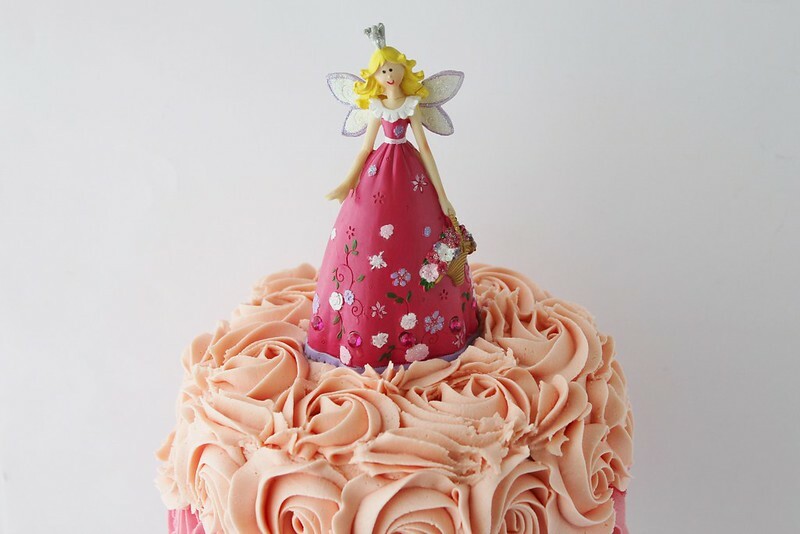 I love how the cake turned out in the end, Lorna picked her favourite fairy ornament to go on top of the cake and I think they looked perfect together.